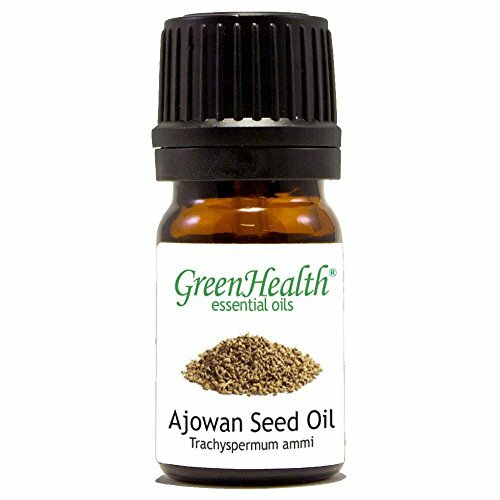 Ajowan essential oil is derived from Ajowan seeds. Ajowan is a plant which has the same aroma of thyme and has similar looks as dill. In the United States, Bishops Weed is regarded as the same plant as Ajowan. It is actually a hot oil and should be used with a carrier when applied to the skin. Ajowan is commonly utilized for treatment of the digestive system. Learn more about Ajowan Seed Essential Oil Essential Oil or find a great deal on the best selling Ajowan Seed Essential Oil from the items below! 100% Pure Therapeutic Grade Ajowan 10ml Essential Oil Botanical Name: Trachyspermum ammi Comes in 10ml amber glass essential oil bottle. European Dropper Cap included Ajowan Essential Oil has a stong aroma of sweet thyme . What sets Healing Solutions Essential Oils apart is superior cultivation of ingredients that are the best in the world. Combined with superior distillation and bottling care process, We GUARANTEE that our oils are aromatically superior and more effective than any other oils - if you disagree we will refund your money! The Leading Aromatherapy Associations (Alliance of International Aromatherapists (AIA), International Aromatherapy and Aromatic Medicine Association, Aromatherapy Trade Council, and others) all state that essential oils should not be taken internally (regardless of purity or organic origin) unless under the guidance of a health care practitioner trained at an appropriate level . As such, all of our oils carry a label warning that the product is NOT FOR INTERNAL USE. 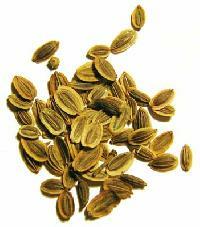 Essential Oil Name: Ajowan Seed Family: Umbelliferae Botanical Name: Trachyspermum ammi Plant Part: Seeds Extraction Method: Steam Distilled Origin: India, China Color: Pale yellow brown. Consistency: Thin Note: Top Strength of Aroma: Strong Aromatic Scent: Ajowan has a herbaceous, spicy, medicinal odor, similar to thyme. Description: Ajowan is an herbaceous annual, 30 -70 cm (1 -2 ft) in height, bearing feathery leaves and red flowers. The stems are striate, the leaves are rather distant, 2-3 pinnately divided, the segments linear. Silky Scents EO205-15ML Ajowan Essential Oil 100 Percent Pure Therapeutic Grade - 15 ml. Blends well with: This oil blends well with Thyme Red Parsley Seed and Sage. History: Also known as Bishop's Weed Ajowan Essential Oil has been traditionally used in India as an antiseptic and aromatic carminative. Its action and uses are similar to those of thymol. Ajowan is native to India but is also cultivated in Iran Egypt Pakistan and Afghanistan. 100% Pure Essential Oil Capacity - 15 ml. Silky Scents EO205-1OZ-30ML Ajowan Essential Oil 100 Percent Pure Therapeutic Grade - 30 ml. Blends well with: This oil blends well with Thyme Red Parsley Seed and Sage. History: Also known as Bishop's Weed Ajowan Essential Oil has been traditionally used in India as an antiseptic and aromatic carminative. Its action and uses are similar to those of thymol. Ajowan is native to India but is also cultivated in Iran Egypt Pakistan and Afghanistan. 100% Pure Essential Oil Capacity - 30 ml. Silky Scents EO205-5ML Ajowan Essential Oil 100 Percent Pure Therapeutic Grade - 5 ml. Blends well with: This oil blends well with Thyme Red Parsley Seed and Sage. History: Also known as Bishop's Weed Ajowan Essential Oil has been traditionally used in India as an antiseptic and aromatic carminative. Its action and uses are similar to those of thymol. Ajowan is native to India but is also cultivated in Iran Egypt Pakistan and Afghanistan. 100% Pure Essential Oil Capacity - 5 ml. Silky Scents EO205-10ML Ajowan Essential Oil 100 Percent Pure Therapeutic Grade - 10 ml. Blends well with: This oil blends well with Thyme Red Parsley Seed and Sage. History: Also known as Bishop's Weed Ajowan Essential Oil has been traditionally used in India as an antiseptic and aromatic carminative. Its action and uses are similar to those of thymol. Ajowan is native to India but is also cultivated in Iran Egypt Pakistan and Afghanistan. 100% Pure Essential Oil Capacity - 10 ml.